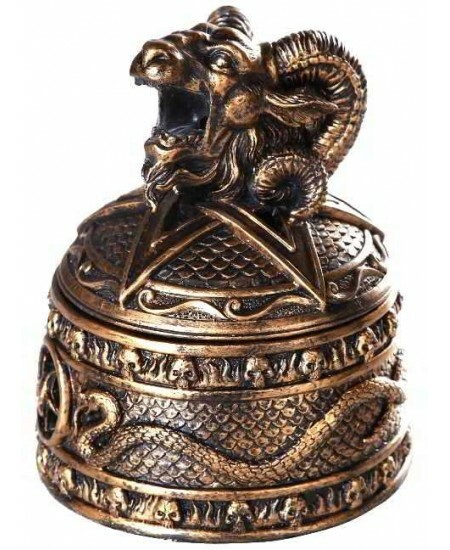 The familiar Baphomet symbol of horned goat god on a pentacle rendered in 3D as an incense burner. 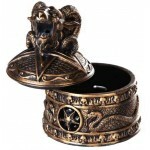 Beautifully made incense burner is just 3 3/4 inches in diameter with a lift off lid making it a total of 4 1/4 inches high. 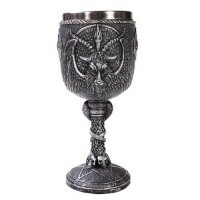 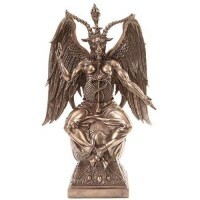 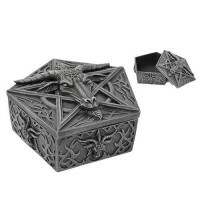 The base has holes and is designed for cone incense (add a layer of salt or sand inside to disperse heat better) with the smoke rising out the open mouth of Baphomet. Stick incense could be used as well held in the mouth. 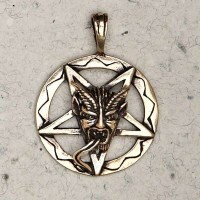 Antiqued bronze finish cold cast resin. 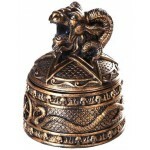 Item Number: PT-12231 | Approximate Size (Inches): 3.75 wide x 3.75 deep x 4.25 high | Approximate Shipping Weight: 1.00 lbs. 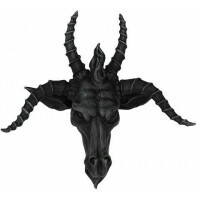 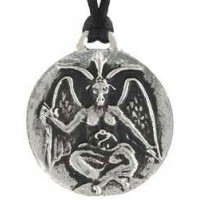 Depicting the image of Baphomet, this 1 3/8 inch diameter amulet can aid in..
Baphomet, or the Goat of Mendes, is a mythical beast created to symbo..